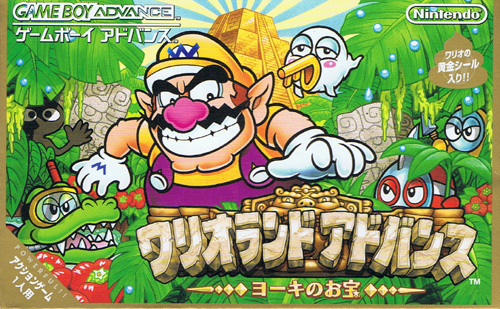 Very tidy little romp with the usual higher level of experimentation as is often found in the Wario titles, opposed to the Mario variants. Great fun with plenty of unexpected twists and a high replay value with hidden areas to explore. 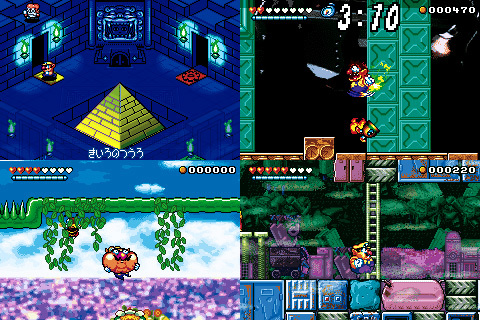 Nintendo didn�ft risk its more infamous license with its initial GBA release in the platforming series, but the Kyoto companys cards came up trumps anyway. 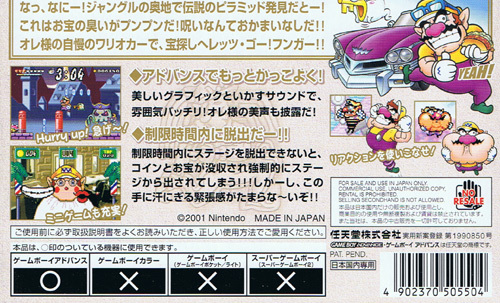 Known in the West as Wario Land 4. Second hand. Light manual cover impressions. Box has wear and indentations.